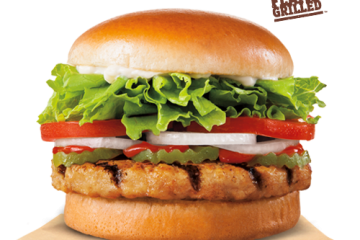 Burger King is now using their unique chicken fry platform to release LTO flavors regularly. 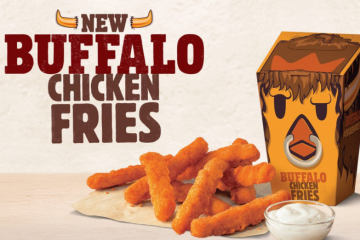 The newest flavor sticks with the spicy in the form of Jalapeño Chicken Fries and it replaces the Buffalo Chicken Fries we reviewed a few months ago. The platform is familiar by now, and consists of white meat chicken shaped into sticks to resemble fries, breaded and fried. 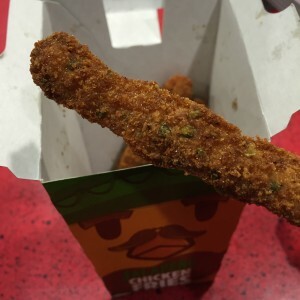 The Jalapeño Chicken Fries have jalapeño in the breading–I checked the crazy long list of ingredients on the BK website, and they do indeed contain actual jalapeño. 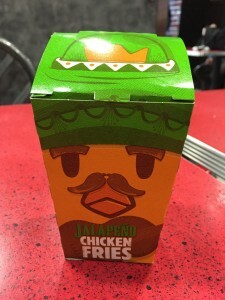 I hate this damn container… I feel like I’m always harping about this when reviewing the chicken fries but I feel unreasonable bitter about it. The idea is to flip open the lid, contort the container to make a little basket for your sauce, and to dip away. But why?? Certainly not for one handed snacking! 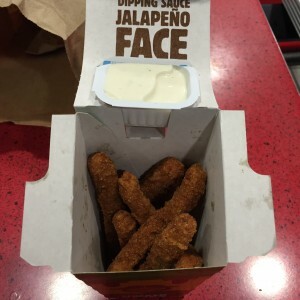 But about the chicken fries… They’re not bad. 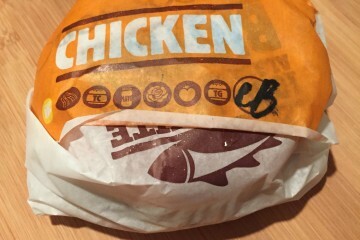 If you follow this blog and my reviews of BK items, I tend to be a little harsh on their LTOs (Lettuce problems) which should give you some context for that opinion. 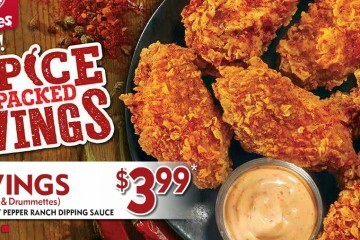 I wasn’t all that into the buffalo chicken fries so wasn’t running to the my nearest BK to grab these. Still I tried to keep an open mind, and it helped that the first thing I noticed was an odor of jalapeño coming for my brown bag. It smelled like jalapeño poppers fresh out of the fryer. 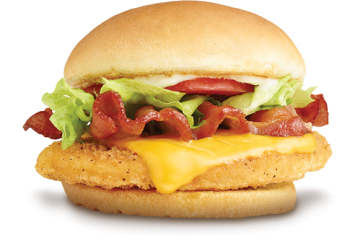 I realize “spicy” food is never quite that spicy at national quick service restaurants because it has to have mass appeal. But I was a little let down by the spice. 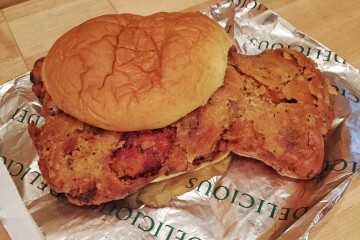 It was slightly less spicy than your typical spicy fried chicken sandwich. You can visually see flakes of jalapeño but the spicy level is definitely muted. 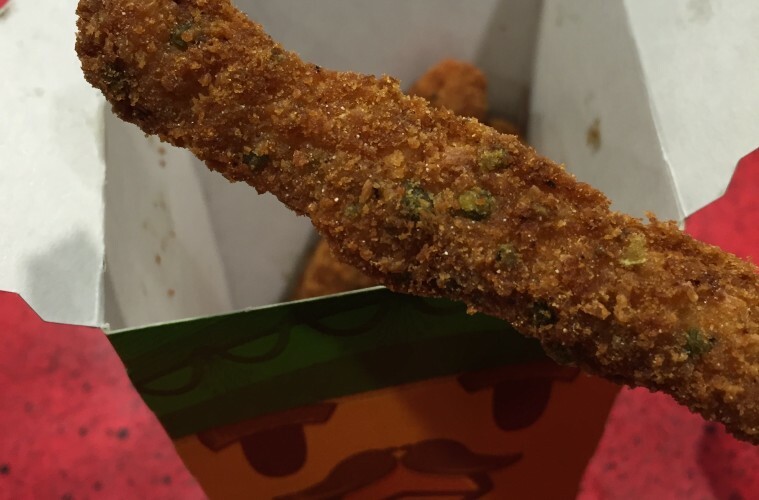 All the chicken fries suffer from a bit of fried after taste, dipping into the sauce helps but usually that taste is still lingering a bit. 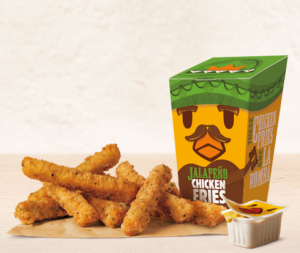 I found the jalapeño chicken fries help to cut the taste even more with a slightly fruity jalapeño taste that accumulates as you eat. Still, the same chicken fry problem persists. What do you eat them with? Regular fries? Also, I can’t help but think this is kids food while eating it. It seems like it should be a snack, but its priced as an entree so it doesn’t really fit into the grabable snack category.